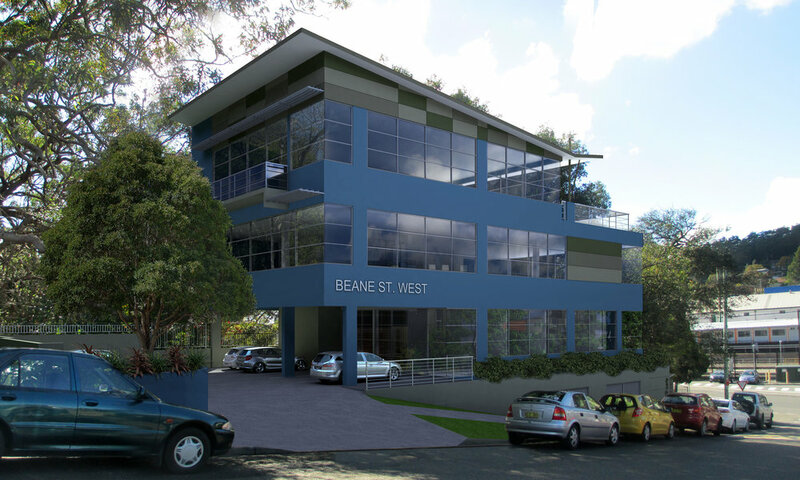 Engaged by the owner/ medical practitioner with a challenging vacant corner site the brief required the design of a four storey commercial building incorporating basement parking. 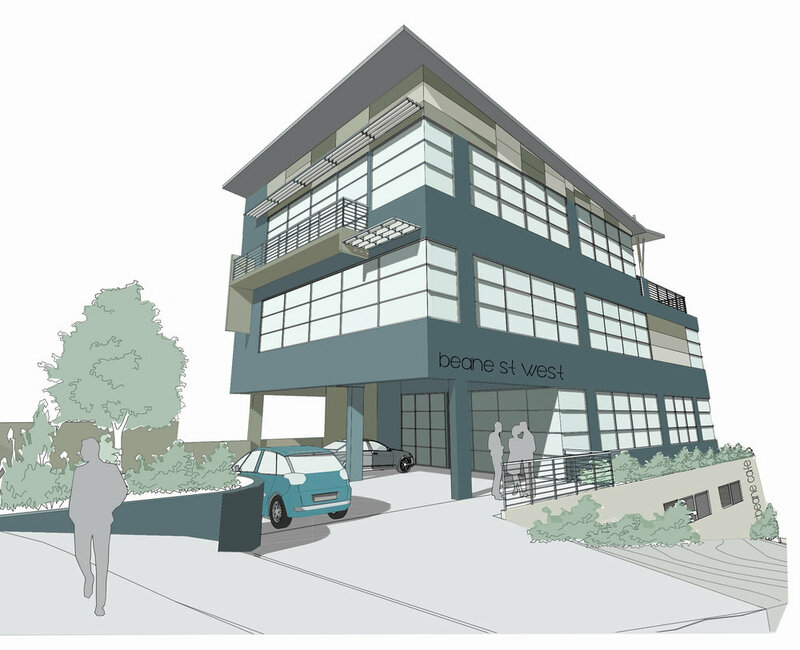 The scope included design of a modern radiology tenancy situated at ground level with associated tenable commercial levels connected by a service lift core and associated accessible amenities. The building encompassed a café, multiple terrace areas and extensive glazing capturing the distant bush setting views that included Presidents Hill and Rumbalara Reserve.